Solar power is a source of energy that seems almost too good to be true. It’s there nearly every day, shining down on you and your home and it just seems like it’s all going to waste. Why not simultaneously cut your reliance on dirty non-renewables and become energy independent? Well, the main reasons why most people let solar power go to waste is because solar systems are somewhat complex, work-intensive and expensive to install. While the idea of lowering or eliminating energy bills will appeal to anyone, the idea of spending tens of thousands of dollars up front and having to wait years to see any actual savings won’t. But solar power doesn’t have to be such an intimidating proposition. Solar panels are dropping in price, and manufacturers are building comprehensive systems that make it easier for homeowners to outfit their homes themselves. Before you run out and buy a pallet full of solar panels, though, there are a few important elements of your home and surroundings that you should analyze. As with anything, it’s easy to overlook the little factors when tackling a project of this magnitude. If you intend to invest the money and time into building a solar system for your home, you’ll want your solar energy to power your home as efficiently as possible. Increasing your general home energy efficiency may seem like a time-consuming diversion, but it is an effective way of cutting your energy usage and ensuring that you get the most from your solar system. This is a whole topic on its own, so we won’t get into all the details, but a few ways of increasing efficiency include replacing old, inefficient appliances with new, greener ones; fully weatherproofing your doors and windows; and outfitting your home with energy efficient lighting. The more efficient your home is, the more you’ll get out of a renewable energy system. You’ll also want to know how much energy that you use for your home each day or month. This way, you can build a system to tackle all or a fixed percentage of your needs. You can either refer the past 12 months of your electricity bill to identify the average number of kilowatt-hours or contact your electricity provider to get the information. Compare the amount of energy that you use per month or year with the amount different sized systems produce. Perhaps the most fundamental thing that you’ll need for installing a solar cell system is the space to do it. That doesn’t just mean free yard or roof space, but free yard or roof space that isn’t shaded or obstructed by trees, buildings, other houses, etc. You’ll want the area to be clear for most or all of the day so that the panels can absorb sunlight as effectively as possible. If you live in the woods or have numerous obstructions shading your property throughout the day, solar power might not be the best type of renewable power source, and you may want to look into other options like wind or fuel cells. On the other hand, if you have ample yard or roof space that gets direct sunlight throughout the day, you may have a good fit. To get the most average hours of sun a day, you’ll want to have space situated in such a way that your solar panels face south, which is where the sun is situated in relation to the United States. An important factor to consider at the city level is any local zoning and permit regulations that could either restrict your system or add to the installation process. Check with your local zoning board and city permitting office to find out more about your local obligations. Geographic areas are not created equally when it comes to solar power. Mentally compare the baking desert of southern Arizona with the soaking Pacific Northwest coast and you’ll realize that some areas were all but created to be solar farms while others seem like they’ll leave you in the dark. Don’t get discouraged, though; solar power can still be effective in less sunny areas of the country. In fact, the city of Seattle, often thought of as one of the most drab, rainy cities in the country, claims to get more sun than Germany, a world-leading solar market. 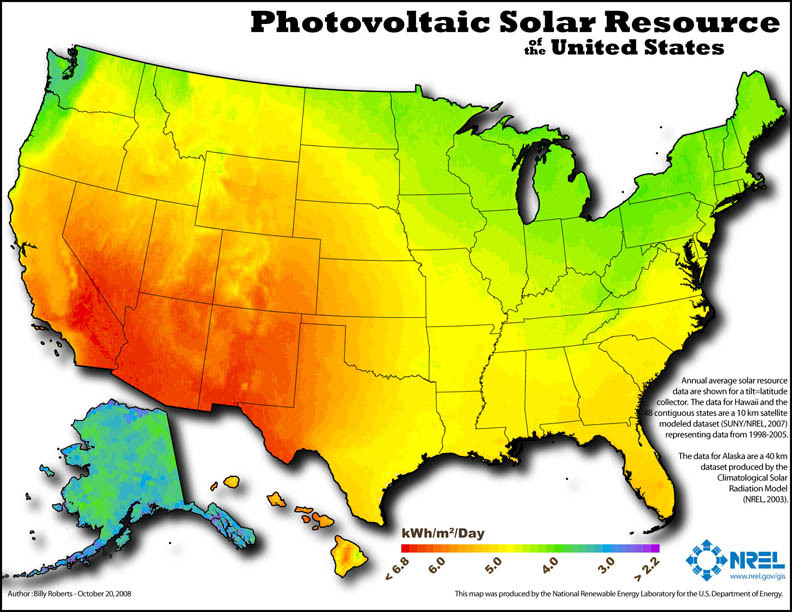 The National Renewable Energy Laboratory offers a color-coded map of the United States that gives you an idea of what areas offer the most solar potential and what the average energy output is. The map looks much like what you’d expect, with hot, dry areas in the southwest offering the most output and northern areas offering the least. The bulk of the country falls in between. You can play around with different map options here: http://www.nrel.gov/gis/solar.html. Falling into a less sunny zone doesn’t mean that solar won’t work at all, but it may mean that you’ll need a bigger, more expensive system to meet your energy goals. 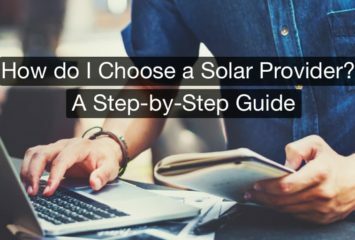 Solar power is an expensive proposition, so unless you’re independently wealthy, you’ll probably want all the help you can get. Government rebate and incentive programs can help cut the costs of installing a solar system. Take a look at the Database of State Incentives for Renewables & Efficiency, a comprehensive, well-organized list of incentives and programs broken down into various types (federal, state, local, utility company, etc.). One thing that can help to make an investment in solar pay off is a net metering system. This allows you to sell electricity into the grid at the same rate you buy it, if and when you’re producing more energy than you’re using. In a net metering system, the meter will actually spin backwards when you’re producing excessive energy. If you produce more energy than you use for an entire month, your utility provider could end up owing you money! Contact your local utility provider to discuss net metering options. You’ll want to consider their requirements for setting up the system, the rates that your energy is paid at and any restrictions that they implement. When considering the total cost of the system versus potential gain, take into account any government rebates and tax incentives, which will lower your out-of-pocket expenses. If you intend to finance the system through a mortgage or other loan, you’ll also want to take into account the total amount of money that you’ll be paying, including interest, so that you get the full idea of how much the residential solar system actually costs. If you find any of these questions or the process as a whole intimidating, the good news is that solar installation professionals are very familiar with the ins and outs of solar installation and can help answer your questions and guide you through the process should you need a hand. 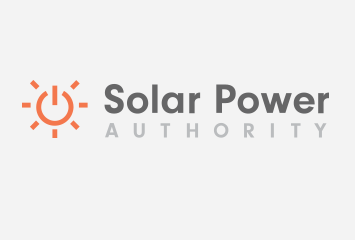 You can find solar installation professionals in your area by using our search tool. On the same page as the installer search, you’ll also find a solar costs calculator that will estimate the cost of a system based on your geographical area and energy consumption. The calculator compounds several pieces of data to deliver cost and savings estimates.